Unique Offering... 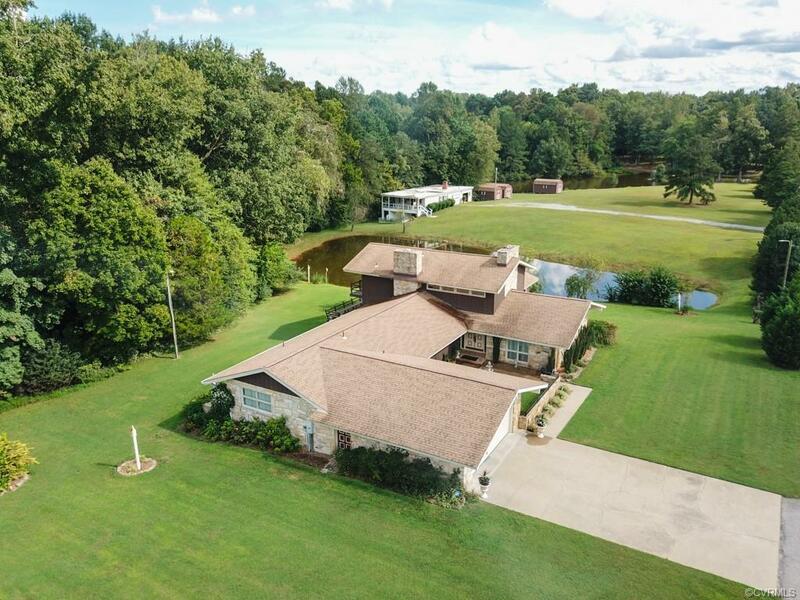 This stunning, 3385 sq ft, 3-Bedroom Mid-Century Modern sits on almost 4 acres in Prince George County, and there's a 2-story, 2274 sq ft, 3-Bedroom detached apartment on the same lot across the pond. The home features a First Floor Master with a completely remodeled Master Bath. The Family Room boasts a Wet Bar and Hardwood Flooring. The Kitchen has been remodeled with Custom Cabinetry, Granite Countertops and Ceramic Tile Flooring. The ground floor also features Two majestic stone fireplaces that stretch from floor-to-ceiling. You'll love the views looking out over your very own pond while lounging in the Florida room. Upstairs you'll find two large bedrooms and a renovated full bathroom. Outside you'll enjoy your cozy courtyard and wonderfully-landscaped yard. The two-story, 3-bedroom detached apartment has a 2-car garage and could be used for family, guests, or possibly a rental income opportunity. Directions: From 295 Take 36 East To 156 South. Turn Left Onto Birchett Dr, Turn Right Onto Pfost. House On Left.